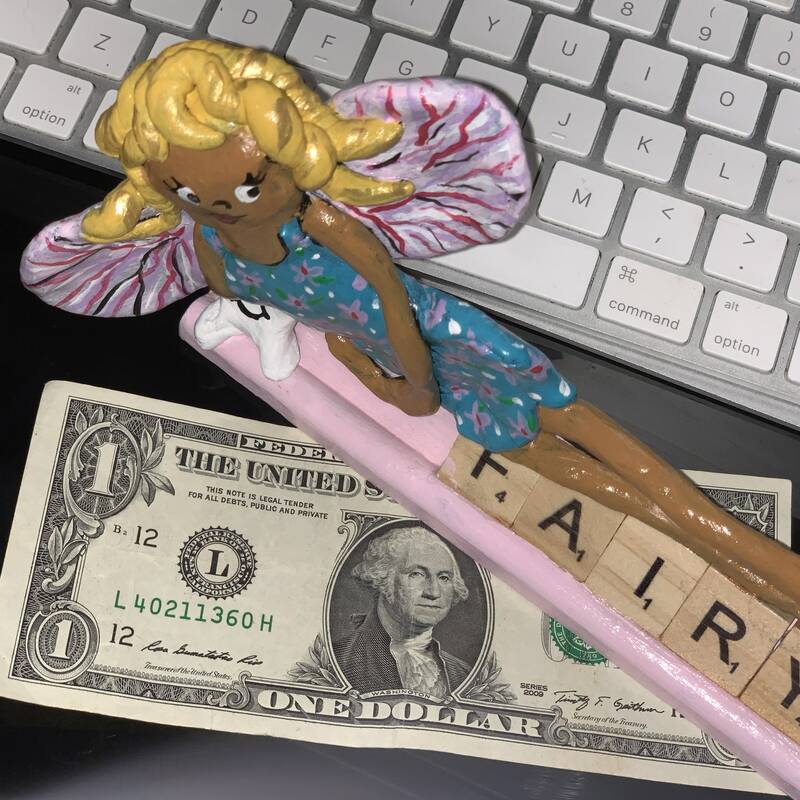 Folklore states that when children lose one of their baby teeth, the Tooth Fairy will visit while they sleep, replacing the lost tooth with a small payment. 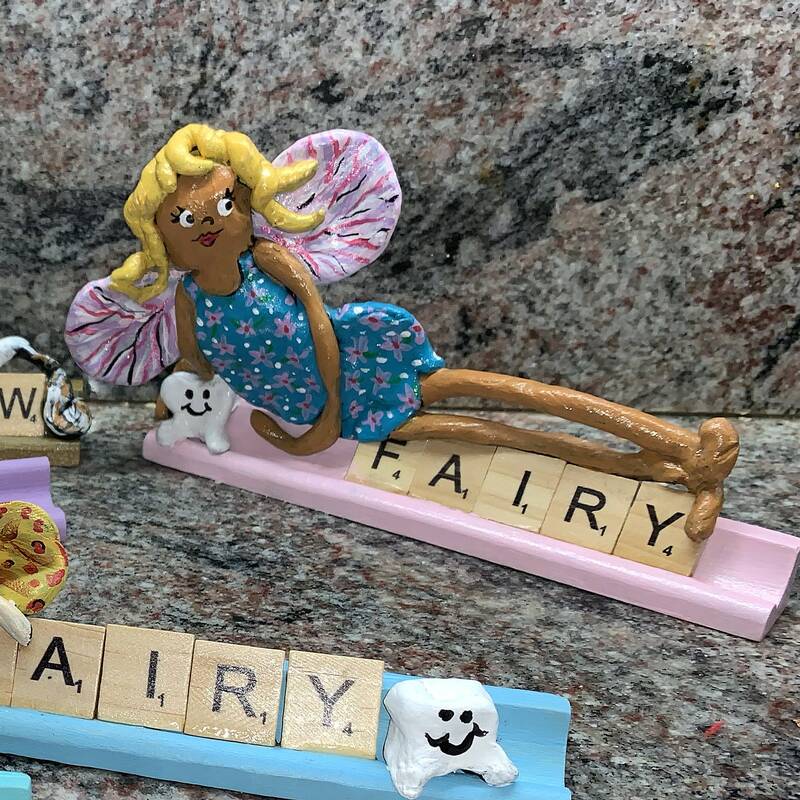 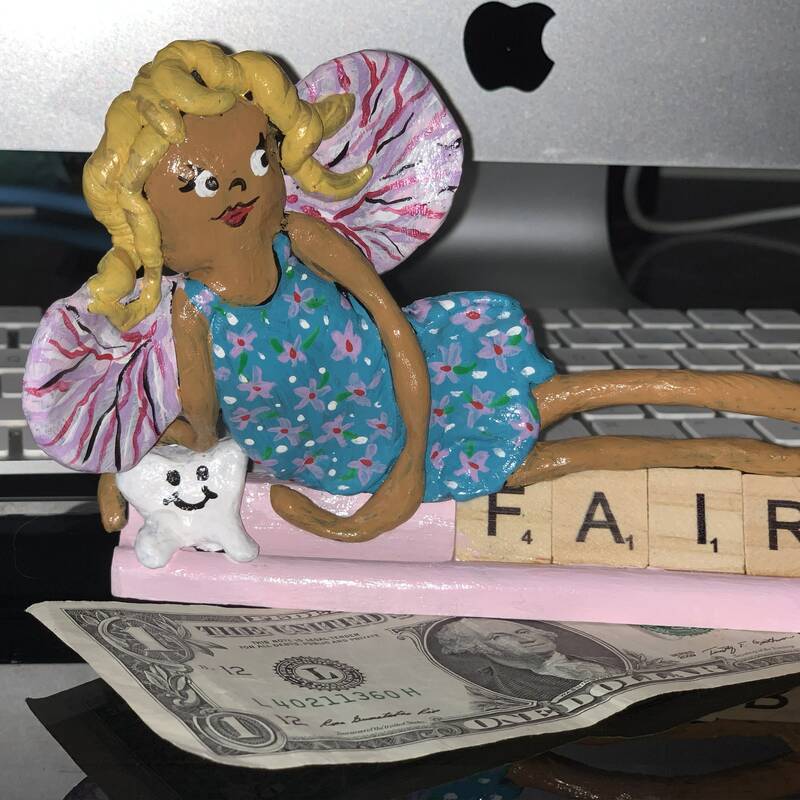 The Scrabble Tooth Fairy is a perfect companion, she will sit patiently waiting to collect a tooth and with the help of supervising adults have a payment waiting for the child when they wake! 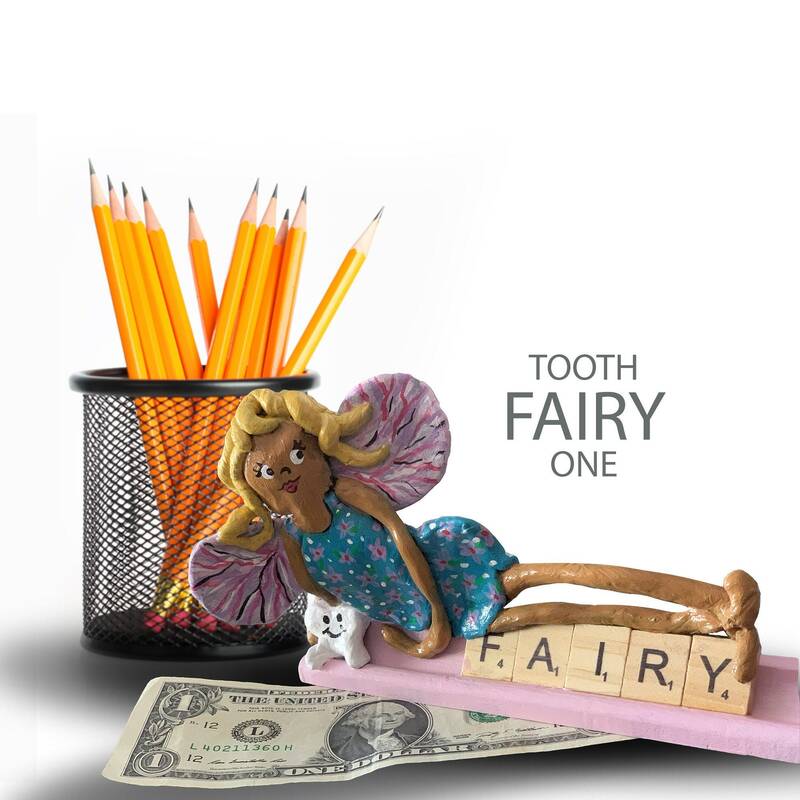 Tooth Fairy one is the largest of the fairy series. 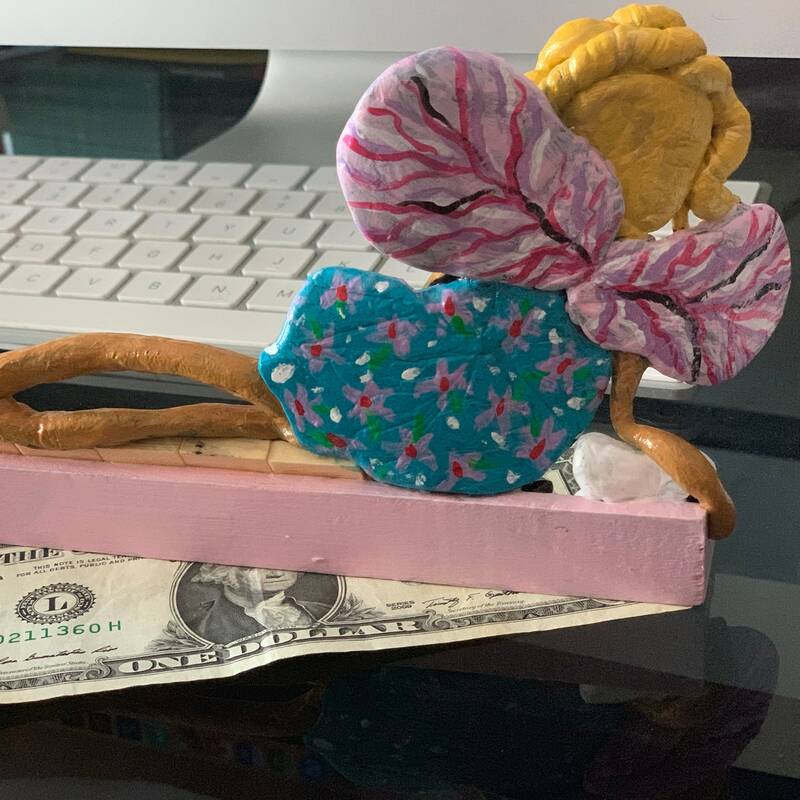 She has on a lovely spring floral dress with pink wings. 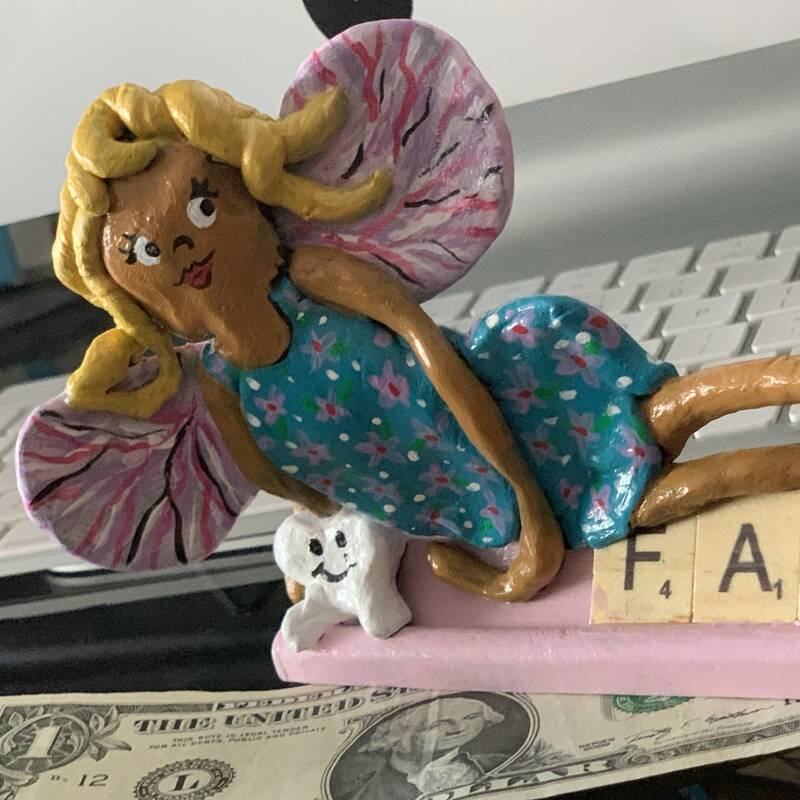 She has a wish all her own ... to be part of your family.